After the success of the first leg of Temporary Monument, Permanent Protest, Re:Con reveal the next stage of their commemoration. The event will include the big reveal of the iconic image re-enacted on 20 February by photographer Manuel Vason from the protest in Manchester 30 years ago. The participants, some of whom were involved in the original protest, walked 30 steps down Canal Street to symbolise the 30 years since Section 28. The image will be exhibited in an immersive installation by artist Bethany Hermitt. Alongside the installation, the night will also feature a brand new commission from poet Louise Wallwein (who was one of the organisers of the original protest and led the event in February), pop up poetry performances, speeches and a DJ set from the amazing Kiss Me Again. 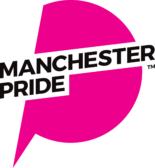 Presented by Contact, Re:Con and Manchester Pride. Supported by Arts Council England, Vinspired, Superbia, Radisson Blu Edwardian Manchester, Richmond Tea Rooms and The Proud Trust.